Bordering the Chinese Empire | A Precarious Independence…. Power stations: How grotesque they can be. The largest structures on earth though they are not the tallest. They are something for Ayn Rand: Promethean both by psychology and by necessity. Fritz Lang’s “Metropolis” and “China Syndrome”. Or something from a Piranesi nightmare. Peopled by liveried, anonymous workers in construction crew safety helmets, like soldiers visible in the early morning hours, doing their morning exercises. Not allowed to communicate with non-employees. In China, a surviving echo of Maoist Uniformity or silent Collectivity, only now in red, not blue. Though most are still fueled by coal, the ones we remember best are the nuclear stations that have run amok: Three Mile Island, Chernobyl, and of course Fukushima, creatures of modernity so large that they literally “carry” whole cities or even national regions on their backs. Mao Dun (Shen Bingyan) says it all when he summarizes the alien self-advertised symbols of “the city” (Shanghai): “Light: Heat! Power!” 向西望，叫人猛一惊的，是高高地装在一所洋房顶上而且异常庞大的霓虹电管广告，射出火一样的赤光和青燐似的绿焰：Light，Heat，Power！Note that they are not rendered in Chinese, for China was not then yet a growth-machine whose national stature was/could be measured by annual gains in the supply of electricity and town gas. But these creatures are also ominous in their non-nuclear variant, particularly in the “developing” world where they defy health and pollution restraints with the blessing of the growth-obsessed Authorities. And not just by the toxins that spew from their signature smokestacks, but in what they do to the local geology as moonscapes are carved out of the surrounding prairies to keep them fed with cheap coal, draining the water table and driving back the barriers that keep desert and drought at bay. (Strangely, “carbon” emissions are always a going topic, nothing concealed, but that perhaps is because they are invisible, truly global, and nearly impossible to reduce). Until the very end of the previous decade, the retail urban end-consumer did not figure in the calculus of “public” satisfaction with either availability or cost of everyday electric power and centrally supplied heat. Even as updates rolled out on production and over-all consumption, while most provinces, in a doggedly Mao-ist-populist mode, continued to post figures indicating the amount of power supplied/used by the “rural” (village) sector, no data column was inserted for specifically URBAN household use, not to mention average price. (There is SOME excuse for this: “retail” consumption was and is funneled through a government end-distributor, attached to each major “condominium”). Even though rolling power outages and brownouts reached infuriating levels in 2006, a “third party” (NGO) interest did not develop to challenge the government’s mismanagement. Characteristically, there WAS a snap-of-the-fingers “solution”, which keyed to the loosening of regulations on “backyard”, cottage industry power plants, these days dismissed from the CEC stats if they have .006 MW or less of capacity (at last count, not a few provinces had as many as 300 of them). Which may have ameliorated the crisis quickly, but, like Lenin’s NEP, left a legacy of sloppy and low-efficiency collectives on the ground, which the central machine is still patiently dismantling. It was (likewise) this corporatist orientation, favoring industrial users and esp. 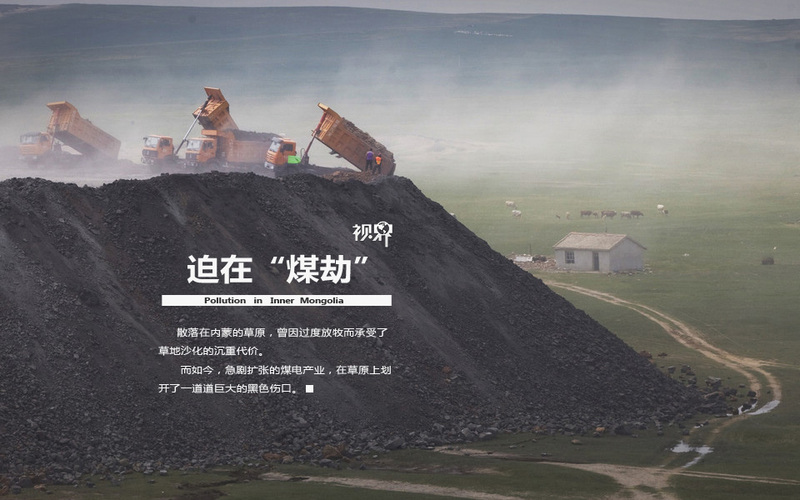 heavy industry, that gave rise to the “[Inner] Mongolian Syndrome”: building oversized coal fired plants at mineside to take advantage of the stripmining boom that was encouraged by the invasion of US megaminers, notably Peabody Energy (see “Magamines” post, above….). The result was an unsustainable “big dig” in that unhappy, still largely pastoral “province” (qua frontier): something close to 41 coal-fired plants went online with 1980s era technology (c/e <=33%, or about 370 kg sce/kwH) with (2008) 267 “suppliers” before rein-in began, and 41 coal-fired plants of average 1,240 MW size, very much under the 2,000-5,000 MW scale necessary for SC and USC power generation. In so anarchic a situation, while nominal coal extraction boomed to 1 billion MT/yr in 2011, low quality doomed this treasure to be frittered away in off-grid local power matrices, highlighted by the very odd low voltage “wire” strung between Togtoh and the Capital that was meant (but will not…?) to supply 1/3 of Beijing’s woefully inadequate base load, no doubt at prices that make the sale(s) unprofitable. (An even odder off-grid arrangement, for example, connects Bayanhur? sp) in central “E Inner Mongolia” with the now underpowered “old core” of Liaoning, the rather fancy footwork having been executed by one of probably many goldbrickers at last forced to flee or abandon what’s left of the once fabulously productive Fushun mining pockets, also open pit but now too deep to scavenge). And the oddest of all: Datang and its sister power holding companies aren’t doing much investing either in upgraded mining or in more efficient (meaning higher-tech) plant. So we are confronting not just a corporatist model of priorities, but one that battens on the lower political status of the only semi-Sinitic mixed Mongol/Manchu and Korean population that dominates the eastern 2/3 or so of the “self-government” AR, or Mengdong. (In an even uglier variant of the same profile, the central and “western” extension of that same “province” has become a free-wandering zone for all of the CTL and CTG gasification technologies, most wrenchingly for SNG, which has proved such a boondoggle that even Datang, its earliest and grandest promoter, has been making every effort to sell out its SNG stake….). Fig. 1 The Control Station of the Toktogh Megaplant, China’s Largest (4,800 MW) and soon to be larger still.. Fig. 3 Satellite Image of the Turbine Array, Nearly 1 km long…. “The Mongolian Candidate” – or perhaps Polish? … still on the subject of China’s “North by Northeast” bias in the concentration of worst-hit “smog” loci. One thing that seems omitted from most explanations of (thus solutions for) the heavy skew of the worst-hit cities along the North and North east “frontiers”, converging more or less upon Beijing and its nesting province of Hebei, is the weight of transient pollution from adjacent – or even not-so-adjacent – population centers. Or at least under-emphasized. A possibility too obvious? A lot of the miasma might have a kindred set of causes that have not so long ago been experienced in NW Germany (Brandenburg), where two filings to the European EPA (equivalent) have fingered Polish and Ukrainian power plants, remote though they be, as the source of strangling coal-emission smogs spilt over from electric power generation. ” The [excessive and insalubrious) pollution with sulfur and nitrogen oxides is [not the result of local auto emissions, but] largely caused by the energy industry[‘s use of lignite coal: (lowest grade steam coal in terms of combustible carbon )]. Once released, both pollutants react with the atmosphere to form secondary particulate matter. Nitrogen oxides also act as precursors of ozone. Both ozone and particulate matter can be transported over very long distances and thus cause impacts outside their country of origin.” Buried within the prose are two sub-arguments: particle matters from lignite can and do hang in the air over long distances, as far away [the researchers suggest) as Chernobyl in the Ukraine. [YES, that Chernobyl!! !…); and, second, that nitrous oxide derived acid “rain-smog” and its sister by-product, ozone, are characteristically heavy components in this mix. 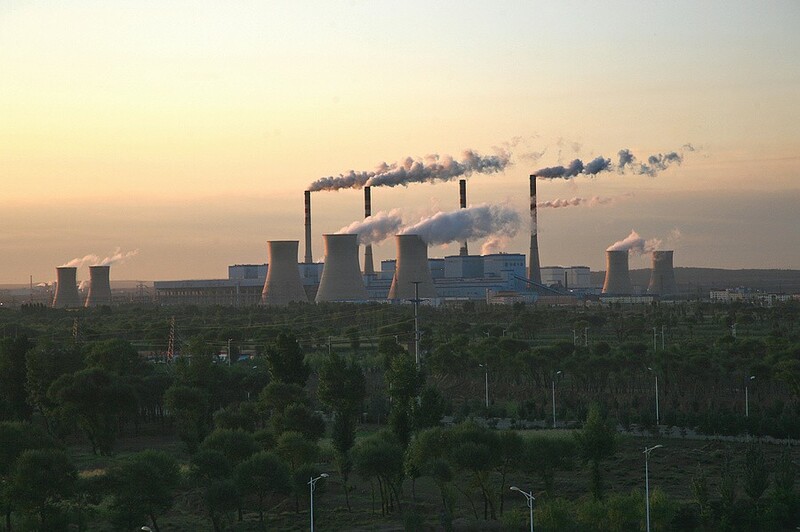 China’s energy policies and the financial implications for thermal coal” available at http://c.ymcdn.com/sites/www.asria.org/resource/collection/1B7CBA3C-1807-4FA7-8E75-644FBCD9B6BA/CT_China_Full_Report_Final_web.pdf. I shall refer to this document as “Coal Cap 2013”). Beijing’s “haze” or wumai 雾霾 has been part of the landscape for a long long while. Bicyclists and now even tourists have been wearing improvised gasmasks – just as blossomed during the SARS panic of (?) – for so long that they are part of the visual landscape. But Beijing is now no longer the monopolist of this miasmatic, spooky trademark. 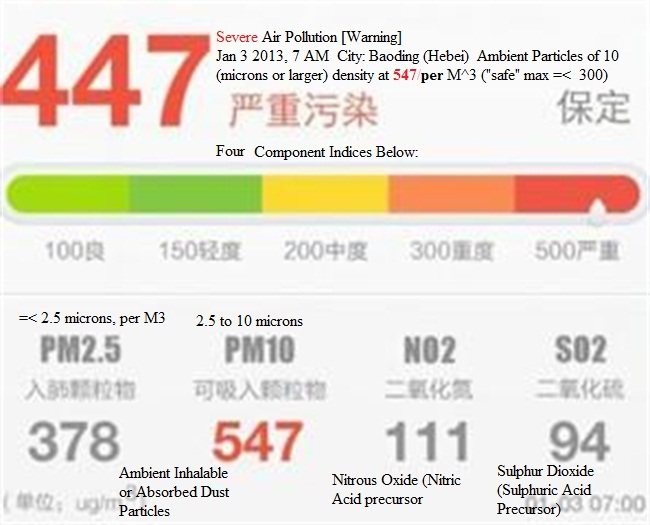 (See http://www.greenpeace.org/china/zh/news/releases/climate-energy/2014/01/PM25-ranking/), nor even anywhere near the top. Even by the compromised standards (“we are a developing nation”) of that hypertropic polity (its target is 75 micrograms/M3 of air – the WHO cut off is 25! ), for the first full data-year (2013), 24 of 74 monitored cities gridmarked all across the country were in the danger zone, and not a one was in compliance with the WHO standard. Though it must be noted that there is one cluster of cities and provinces that hover well above any rank list: 京津冀及周边地区, the so-called Beijing-Tianjin-Hebei-and-Adjacent Region (which also includes Inner Mongolia, Shandong and Shanxi). The symbolic metropoles within this region rank very high. Beijing (No. 13, at 90.1 micrograms, Tianjin (no 11) at 95.6, and Shijiazhuang (Hebei’s provincial capital) (no 2) at an unbelievable 148.5! the (US) Energy Information Agency’s Feb. 4, 2014, country review of China. (http://www.eia.gov/countries/analysisbriefs/China/china.pdf). It tell us something about the increasingly unintegrated nature of China’s energy oversight system that it was immediately published in full, translated, as 《中国天然气评论》[Evaluating China’s Natural Gas [Prospects/Strategy], and now seems to serve as the White Paper for analysis, evaluation, and statistics about China’s own energy supply systems and prospects, though retitled (significantly) as a monograph about natural gas in and of itself – see http://blog.caijing.com.cn/expert_article-151590-66769.shtml, dated March 28 of 2014. It is worth noting that the latter was published on a think-tank/financial journalism blogsite (and NOT an official government policy site), called Caijing (finance management), a liaison matrix of who’s who in the making of government policy including 2 offshore experts. Their collective project-specific input – a one-off white paper not intended as part of a planning series to be enfolded within the horrendous paperwork of the 5-year planscribblers which serves propaganda and internal political needs but is useless [I’ve learned to my dismay] even as a reference guide to what, where, how much, and when – must have been drafted for and not by the EIA because the “translation” appeared in print over one week before the English language document was released. An interesting and revealing photo of how top-level policy making in many areas is now multi-centric and globalized, beyond the dictatorship of the former State/Party planning agencies. But how could this not be so when so many major projects include benefactor governments other than that of the PRC? GUO Shuqing Chairman, China Construction Bank Corp. Though the story is depressing, it is encouraging that this sort of independent critical journalism is finding more and more blogsites and more room to editorialize. Desertification across the Steppes of Inner Mongolia – first by overgrazing, a terrible price paid..
1) The Westcountry “marchlands” – the analogy with medieval Europe is imperfect but still useful – are (or at least were before the 1950s) best and most simply defined by their vulnerability to Central Asian Muslim infiltration and occupation. Its three border-scraping provincial-scale units were so separated from the political and demographic centers (the Yellow River and Yangtze basins) that they were administered as ill-defined territories whose very names were in flux: Xinjiang (Huijiang), Qinghai (Xikang), and Inner Mongolia (Suiyuan and Rehol) were not yet on the map; from the late Qing and then during the Republic they were not so much governed as controlled by Islamic militarists who moved in and as circumstances dictated. Incorporation into the Sinitic coreland thus begins with off-and-on campaigns to colonize the area with military settlers, dispatched from the East. It was not until the 1950s when that kind of control finally stabilized, in and around the Xinjiang Construction and Development Corps (XCDC – check this) , which has its roots in the Yenan self-sufficiency program of the 1940s. 2) An inaugural phase of development centered on making the Xinjiang Territory self-sufficient in foodgrains (first wheat, then maize) to the point where a large Han civilian immigration program became diet-feasible and a modest nexus of towns and interlocking truck-use roadways could be put in place. Indigene Muslims (mainly Uighurs) were not included, and quickly approached demographic minority, though they found a place as tenants or subcontractors of the PLA-spunoff plantations (some 114 in all). Food security was more or less in place by the ’90s, but the cereals-first policy began to come apart with the paralysis or even retreat of wheat-growing in the face of higher-yield maize overplanting. 3) At some point in the early Deng Xiaoping years, the Corps began to steer toward market integration with “the East” via plantation-scale growing of cotton for longhaul overland rail shipment The effort was highly successful; less so a parallel effort with sugarbeet. But the program hit a ceiling in the late 2010s when the global slowdown undercut lint cotton import prices and made subsidized “Western” stocked and sold by the government cotton too expensive for China’s textile industry. By 2008 if not before, Xinjiang’s cotton boom was over. That crop’s role as a job-creator (if mainly for temporary harvest workers) was further undermined by frantic and perhaps overscaled mechanization of picking, which put 500-600,000 migrant workers – including Uighur women – out of supplementary income. The topping out (planned consolidation) of cotton production is however hoped to be compensated in local economic terms by downstream integration with/into cotton yarn production. As happened in the post-WWII US, relocation of mill capacity into proximity with the raw material production centers is anticipated as adding to regional value added where cotton itself is subtracting. (4) Pretty clearly we are now well into a fourth phase of colonial/territorial development – based on low labor-cost (input) highly mechanized extractive mining (coal, oil, gas, and minerals) and almost zero internal growth feedback benefit, except perhaps for some reduction in the local price/availability of electric power for urban expansion. In an abstract sense, this reversion from surface cultivation to primary resource economics as the focal point of development planning is a step backward that threatens to further stall or even reverse agro-development by tightening the availability of surface land for further reclamation, and literally stealing water from (future) farming. From the point of view of Beijing, however, it promises still tighter integration of the Territory and its neighbors into the imperial/state nexus, since the delivered product (mainly natural gas) will have only minimal local use, and creates local income only as consumed via pipeline by electric power plants in central and east China. As extraction grows as a share of territorial value added, dependency on capital-intensive remote users will increase dramatically, handcuffing the “West” even more tightly. But new risks to the system of control will also be added: resource depletion or interruption and environmental stresses (such as re-desertification), which will even as prospects drive “immigrant” settlers away. For a system that was built to muzzle the Islamic threat and prevent any resurgence, a demographic and stratum-reversal of colonial in-flows is not a happy prospect. Surprisingly, for an editorial environment where quantified growth is always cheerfully viewed, a forecast of this negative return hit the headlines as early as April 2003, just as the first blueprint for “Grand Western Development” became public. The unifying characteristic of border control policy in the “West” (as defined above) and especially in Xinjiang is the state’s unbreakable attachment to economic autarky. In seeming defiance of the rules of economic growth/modernization, PRC economic plans for the northwest as a whole remain loyal to the idea of self-sufficiency at least in the core nutrition matrix of rice-wheat-maize. 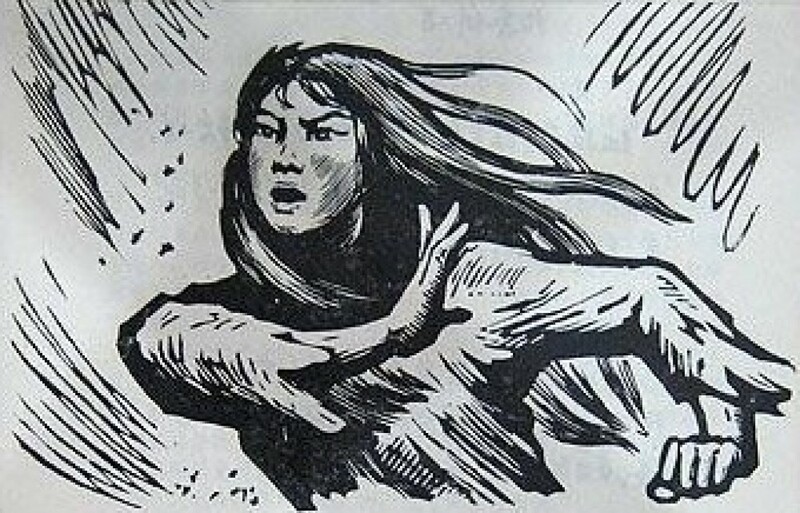 Unlike, say, the key SE coastal provinces, where frontier access has translated into a furious pace of division of labor and SEZ based, exports-driven urbanization — and thus declines of food self-sufficiency that leave such provinces (Fujian, Huangdong, and Zhejiang) open to actual or threatened blockade or harassment (worst of all from within)– Xinjiang’s PLA-influenced (-led?) overlords have refused to let the logic of diversification and trade interfere with a paternalistically phrased commitment to dietary self-sufficiency. The stipulated norm in fact for all the 5 “northwest” provinces is 400 kg/pc/pa, or (in terms of the three major non-/minimally traded cereals – rice, wheat, and maize – 800-1,000 cal/per day/per person. It is as if the inhabitants – because largely non-Chinese or religiously “heterodox” – cannot be entrusted with freedom of crop choice. As “children” they would (and indeed once did, per opium-poppy planting) sooner or later fall prey to the modern day equivalent of the tulip mania of 18th century Holland, which, once deploded, would leave them starving, not to mention beggared. But also – and here is a better reason, because the semi-tabooed issue of desert expansion and sand drift do indeed increasingly threaten surface transport – both road and rail – and thus demand that trade economics exploit pipelines (over which food cannot move) rather than the modern day equivalent of caravan transport.